Take Care of Texas is excited to partner with Samsung Austin Semiconductor on the How Do You Take Care of Texas? elementary school art contest. Sixteen K-5 students—and one lucky teacher—will win a Samsung tablet or laptop by entering the contest. Samsung carries out a wide-range of environmental activities around the world, and they are a leader in delivering eco-friendly products to consumers. Employees at all production sites of Samsung Electronics are engaged in local environment protection activities, teaming up with NGOs and communities as part of the company’s commitment to social contribution. 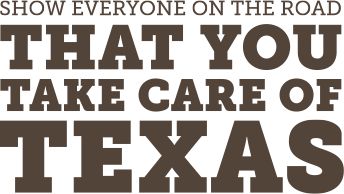 The How Do You Take Care of Texas? elementary school art contest is a perfect way for Samsung Austin Semiconductor to recognize the commitment of young Texans to the continued protection of their natural resources. Explore some of the other ways Samsung is doing their part to implement green business activities including product design, manufacturing, and workplace operations. To learn more about Samsung Austin Semiconductor’s community involvement, follow them on Facebook.